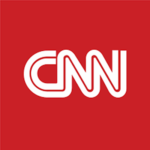 (CNN)The world watched on Monday as a fire engulfed the historic Notre Dame Cathedral in Paris, causing the collapse of the cathedral’s iconic spire and the destruction of its roof structure, which dated back to the 13th century. Maxime Lapeyre last visited in 2018.Maxime Lapeyre, 33, Angers, France, regularly visited Paris growing up and remembers his trip in 1996 with his family as they explored the cathedral.”That day we visited the inside of the cathedral, I remember being impressed by the size of the two towers, and by the people inside. Years later, as an adult I moved to Paris for work and spent six years there. 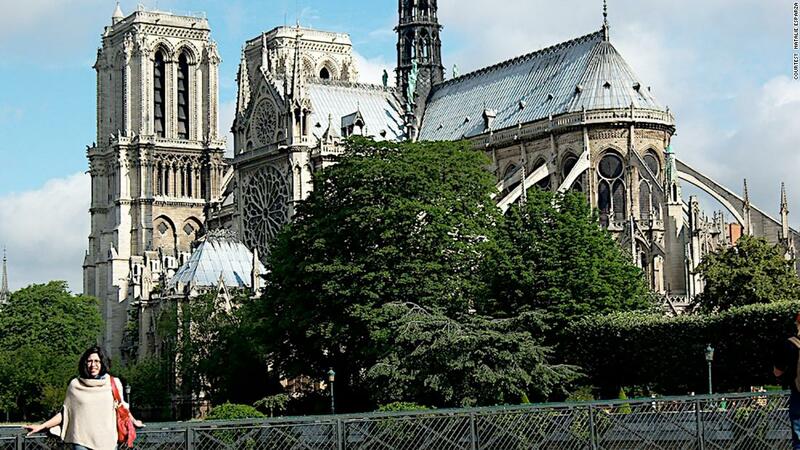 It always stood out as one of the most beautiful monuments in Paris. And to me it always meant good memories of that day with my family.”Lapeyre now lives in New Zealand. 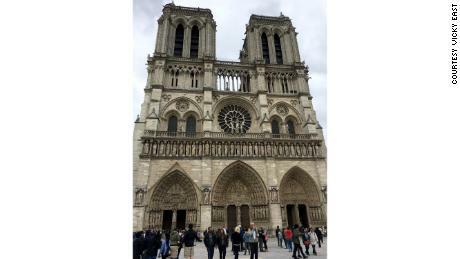 Vicky East visited with her granddaughter in May 2018.Vicky East, 50, Canada, visited last year to celebrate her birthday along with her daughter, who turned 21.”We went to Notre Dame and sat and listened while a Mass was taking place one evening. It was a beautiful contemplative place that meant so much to so many. It didn’t matter if you were French or not, Catholic or not; it was just a very special place. 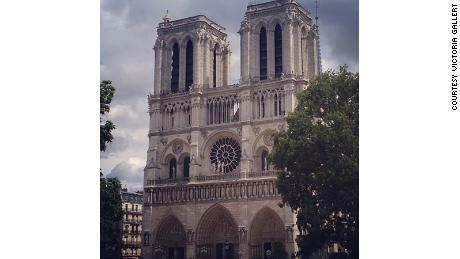 Seeing this iconic building so ravaged by this fire is truly devastating.”Paula Bristol, 70, Quincy, Illinois, had visited the cathedral several times and shared the experience with her granddaughter, Hailey, in 2016.”The first time I saw Notre Dame is etched into my memory. I was on a night cruise along the Seine river. It was incredibly moving. 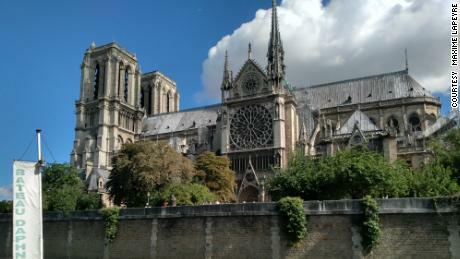 I attended mass on July 4, 1982, in the Notre Dame Cathedral. 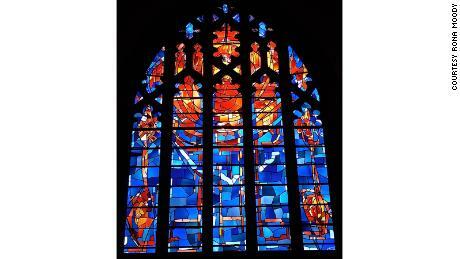 Of course I admire the beautiful architecture and the rose window. 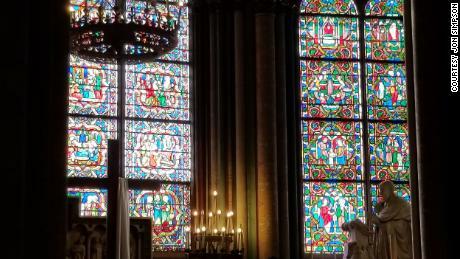 But more noticeable to me was the peace and serenity within the church.”Do you have personal memories of visiting Notre Dame? Share your Notre Dame stories with us and tell us what the cathedral has meant to you.